Chen Feng, Huang Peng, Mo Xiumei. Electrospinning of Heparin Encapsulated P(LLA-CL) Core/Shell Nanofibers, Nano Biomedicine And Engineering,2, 84-90,2010. 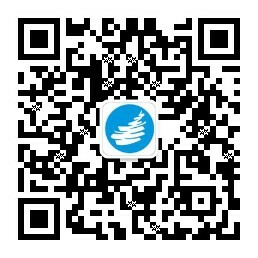 Chen Rui, Huang Chen, Ke Qinfei, He Chuanglong, Wang Hongsheng, Mo Xiumei. Preparation and Characterization of Coaxial Electrospun Thermoplastic Polyurethane/Collagen Compound Nanofibers for Tissue Engineering Applications. Colloids and Surfaces B: Biointerfaces. 79，315-325，2010. Chen Zonggang, Mo Xiumei, Qing Fengling.Electrospinning of Collagen-Chitosan Complex, Materials Letter 61, 3490-3494, 2007. Chen Zonggang, Mo Xiumei，He Chuanglong and Wang Hongsheng. Intermolecular interactions in electrospun collagen-chitosan complex nanofibers. Carbohydrate Polymers, 72（3）, 410-418, 2008. Chen Zonggang, Wang Peiwei, Wei Bo, Mo Xiumei, Cui F.Z.. Electrospun collagen–chitosan nanofiber: A biomimetic extracellular matrix for endothelial cell and smooth muscle cell. Acta Biomaterialia. 6 ， 372-382, 2010. Chen Zonggang, Wei Bo, Mo Xiumei, Cui Fu-zhai. Diameter Control of Electrospun Chitosan-Collagen Fibers. Polym. Sci Part B: Polym. Phys. 47:1949-1955, 2009. Chen Zonggang, Wei Bo, Mo Xiumei, Lim C.T., Ramakrishna S., Cui Fuzhai. Mechanical properties of electrospun collagen–chitosan complex single fibers and membrane. Materials Science and Engineering C. 29:2428–2435, 2009. Elias KE, Price RL, Webster TJ. Enhanced functions of osteoblasts on nanometer diameter carbon fibers. Biomaterials, 23:3279–3287, 2002. Huang Huihua, He Chuanglong, Wang Hongsheng, Mo Xiumei. Preparation of Core-shell Biodegradable microfibers for long-term Drug delivery. J Biomed Mater Res A. 90A (4): 1243-1251, 2009. Kim B-S and Mooney DJ. Development of biocompatible synthetic extracellular matrices for tissue engineering，TIBTECH ，16， 224-230， 1998. 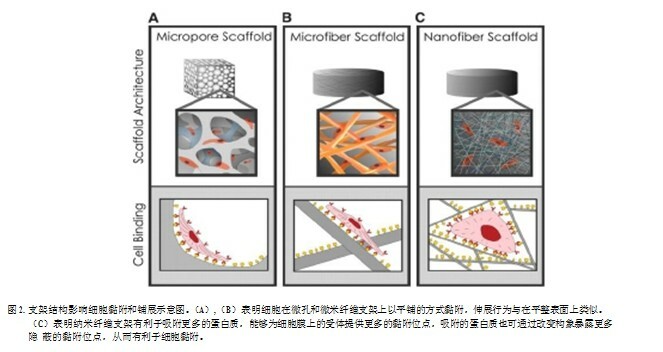 Li Jun, Liu Wei, Yin Anlin, Wu Jinglei, Al-Deyab Salem S. El-Newehy Mohamed, Mo Xiumei Nano-yarns Reinforced Silk Fibroin Composites Scaffold for Bone Tissue Engineering ， Journal of Fibre Bioengineering and Informatics, 5(1), 1-11, 2012. Li Xiaoqiang, Su Yan, Chen Rui, He Chuanglong, Wang Hongsheng, Mo Xiumei. Fabrication and Properties of Core-Shell Structure P(LLA-CL) Nanofibers by Coaxial Electrospinning. J Appl Polym Sci, 111, 1564–1570, 2009. Li Xiaoqiang, Su Yan, Liu Shuiping, Tan Lianjiang, Mo Xiumei, Seeram Ramakrishna, Encapsulation of proteins in poly(l-lactide-co-caprolactone) fibers by emulsionelectrospinning, Colloids and Surfaces B: Biointerfaces, 75, 418–424, 2010. Li Xiaoqiang, Su Yan, Zhou Xu and Mo Xiumei. Distribution of Sorbitan Monooleate in poly(l-lactide-co- caprolactone) nanofibers from emulsion electrospinning.Colloids and Surfaces B: Biointerfaces, 69: 221-224,2009. Min Byung-Mo et al. Chitin and chitosan nanofibers: electrospinning of chitin and deacetylation of chitin nanofibers. Polymer，45， 7137–7142， 2004. Patch K， and Body Smalley E. Handles nanofiber better. Technology Research News 17，24， 2003. Piez KA. Molecular and aggregate structures of the collagens. In: Reddi AH , editor. Extracellular Matrix Biochemistry. New York: Elsevier; 1984. pp 1-35. Stevens M M.; George J H. Exploring and engineering the cell surface interface. Science. 2005;310:1135–1138. Su Yan Li Xiaoqiang, Tan Lingjiang, Huang Cheng, Mo Xiumei. Electrospun Poly(L-lactide-co-ε-caprolactone) nanofibers for encapsulating and sustained releasing proteins. Polymer. 17 (50): 4212-4219, 2009. Su Yan, Li Xiaoqiang, Liu Suiping, Mo Xiumei and Ramakrishna Seeram. Controlled Release of Dual drugs from Emulsion Electrospun Nanofibrous Mats. Colloids and interfaces B: Biointerfaces, 73 (2): 376-381, 2009. Su Yan, Li Xiaoqiang, Wang Hongsheng, He Chuanglong, and Mo Xiumei. Fabrication and Characterizations of Biodegradable Nanofibrous Mats by Mix and CoaxialElectrospinning of Poly(L-lactid-co-ε-caprolactone). Journal of Materials Science: Materials in Medicine. 2009 C, 20:2285–2294, 2009. Su Yan, Li Xiaoqiang, Liu Yinan, Su Qianqian, Lim Marcus，Qiang Wei and Mo Xiumei, Encapsulation and Controlled Release of Heparin from Electrospun Poly(L- Lactide-co-ε-Caprolactone) Nanofibers, Journal of Biomaterials Science, 22, 165–177, 2011. Su Yan, Su Qianqian, Liu Wei, Lim Marcus, Venugopal Jayarama Reddy, Mo Xiumei, Ramakrishna Seeram, Salem S. Al-Deyab, Mohamed El-Newehy, Controlled release of bone morphogenetic protein and dexamethasone loaded in core–shell PLLACL–collagen fibers for use in bone tissue engineering, Acta Biomaterialia 2012, 8, 763–771. Wang Chun-Yang, Zhang Kui-Hua, Fan Cun-Yi, Mo Xiumei, Ruan Hong-Jiang, Li Feng-Feng. Aligned natural–synthetic polyblend nanofibers for peripheralnerve regeneration, Acta Biomaterialia 7, 634–643, 2011. Wang ChunYang, Liu JunJian, Fan CunYi, Mo XiuMei, Ruan Hong-Jiang, Li Feng-Feng, The Effect of Aligned Core-Shell Nanofibres Delivering NGF on the Promotion of Sciatic Nerve Regeneration, Journal of Biomaterials Science, Polymer Edition, 23(1-4), 167-184, 2012. 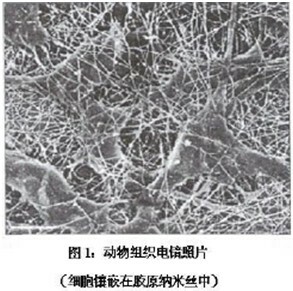 Wu Jinglei, Huang Chen, Liu Wei, Yin Anlin, Chen Weiming, Liu Shen, Fan Cunyi, Mo Xiumei, Bowlin Gary L., Electrospun nanoyarn scaffold and its application in tissue engineering, Materials Letters 89:146-149, 2012. Xu CY， Inai R， Kotaki M， Ramakrishina S. Aligned biodegradable nanofibrous structure: a potential scaffold for blood vessel engineering. Biomaterials 25， 877-886，2004. 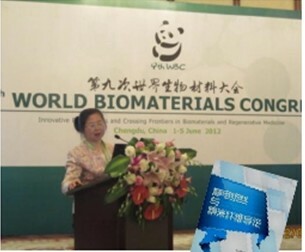 Yin Anlin, Zhang Kuihua, McClure Michael J., Huang Chen, Fang Jun, Wu Jinglei, Bowlin Gary L., Mo Xiumei, Al-Deyab Salem S., El-Newehy Mohamed, Electrospinning collagen/chitosan/poly(L-lactic acid-co-e- caprolactone) to form a vascular graft: mechanical and biological characterization, Journal of Biomedical Materials Research Part A, DOI: 10.1002/jbm.a.34434, published online, 2012. Yoshimoto H. Shin YM ， Terai H， Vacanti JP. A biodegradable nanofiber scaffold by electrospinning and its potential for bone tissue engineering. Biomaterials 24，2077-2082，2003. Zhang Kuihua, Wang Hongsheng, Huang Chen, Su Yan, Mo Xiumei, Yoshito Ikada. Fabrication of silk fibroin blended P(LLA-CL) nanofibrous scaffolds for tissue engineering. J Biomed Mater Res A., 93(3): 984-993, 2010. Zhang Kuihua, Qian Yongfang, Wang Hongsheng, Fan Lingpen, Huang Chen, Mo Xiumei. Electrospun SilkFibroin-Hydroxybutyl Chitosan Nanofibrous Scaffolds to Biomimic Extracellular Matrix. Journal of Biomaterials Science-Polymer Edition. 22:1069-82, 2011. Zhang Kuihua, Yin Anlin, Huang Chen, Wang Chunyang, Mo Xiumei, Al-Deyab Salem S., El-Newehy Mohamed. Degradation of electrospun SF/P(LLA-CL) blended nanofibrous scaffolds in vitro. Polymer Degradation and Stability, 96: 2266-75, 2011. Zhang Kuihua, Yu Qiaozheng, Mo Xiumei. Fabrication and Intermolecular Interactions of Silk Fibroin/Hydroxybutyl Chitosan Blended Nanofibers. International Journal of Molecular Sciences. 12:2187-99,2011. Zhang Kuihua, Fan Linpeng, Yan Zhiyong, Yu Qiaozhen, Mo Xiumei, Electrospun Biomimic Nanofibrous Scaffolds of Silk Fibroin/Hyaluronic Acid for Tissue Engineering, Journal of Biomaterials Science-Polymer Edition, 23(9), 1185-1198, 2012.